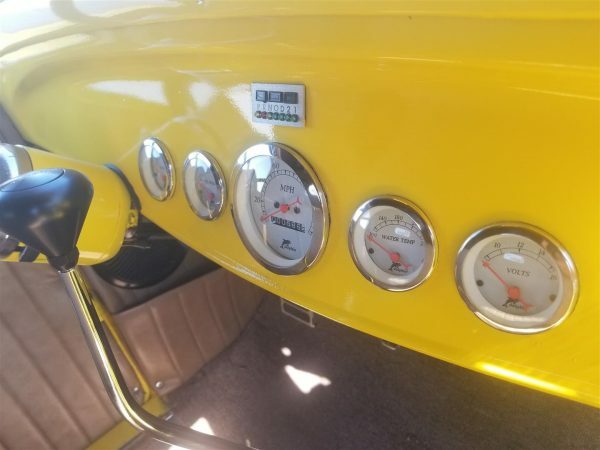 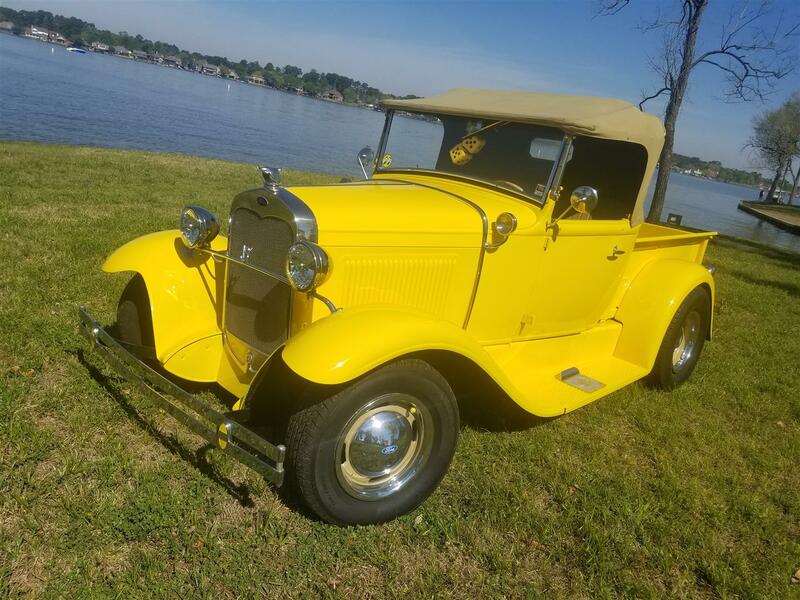 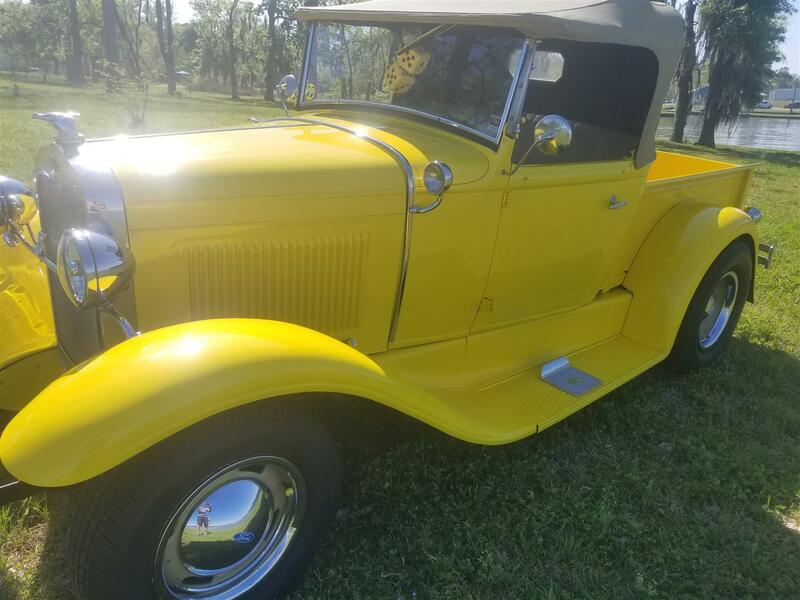 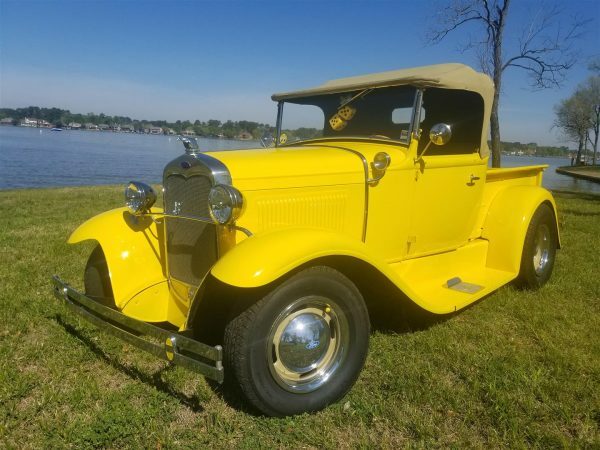 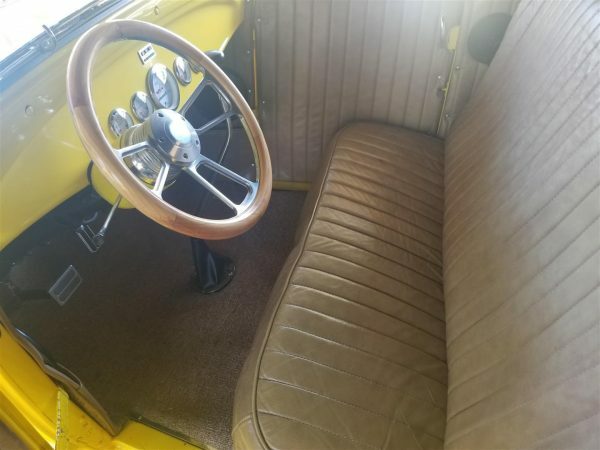 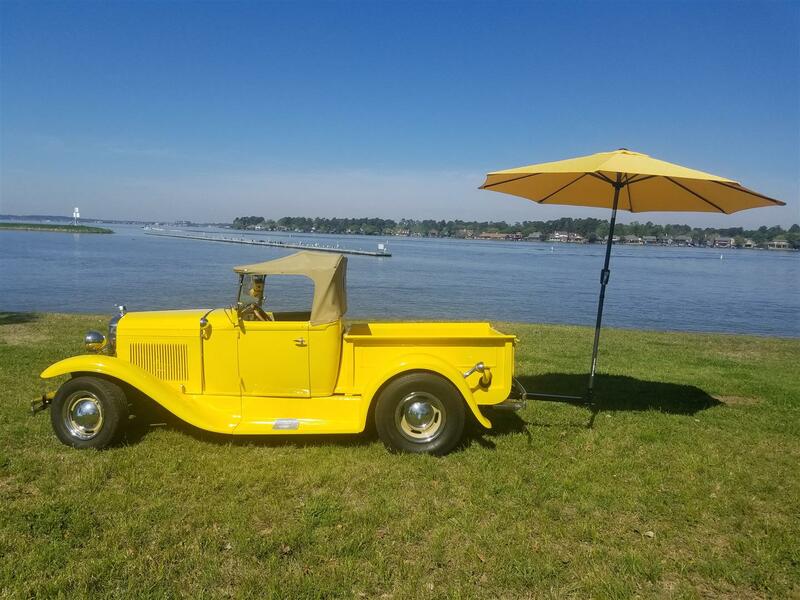 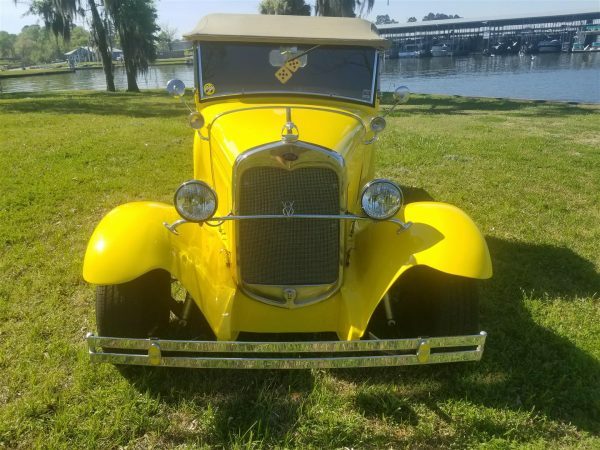 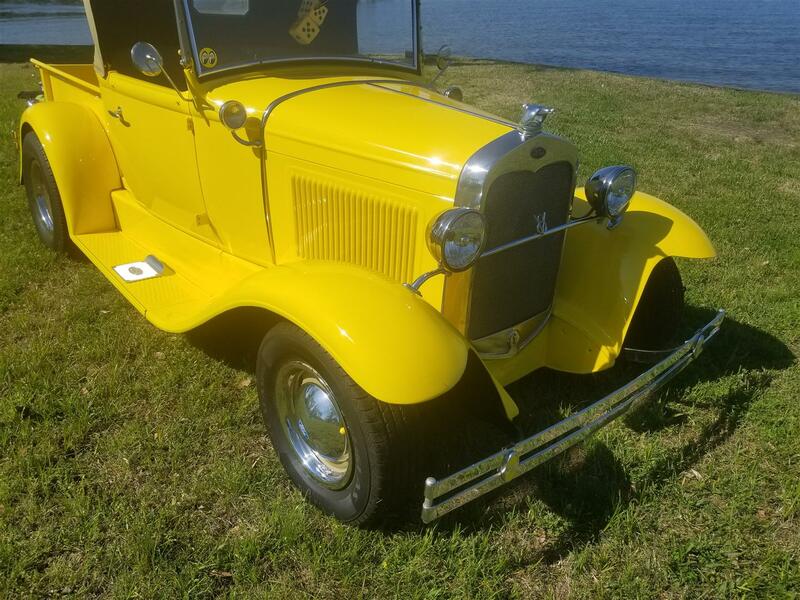 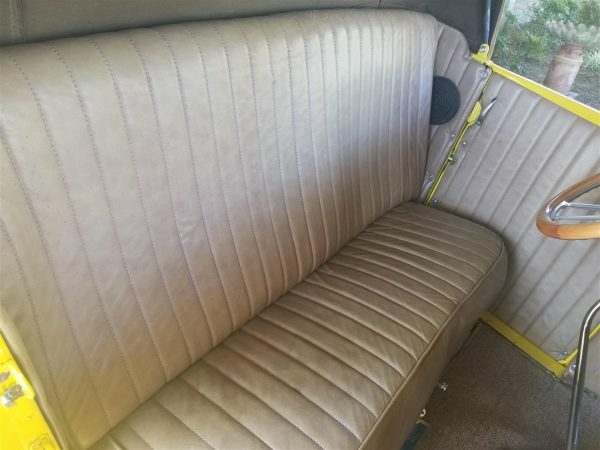 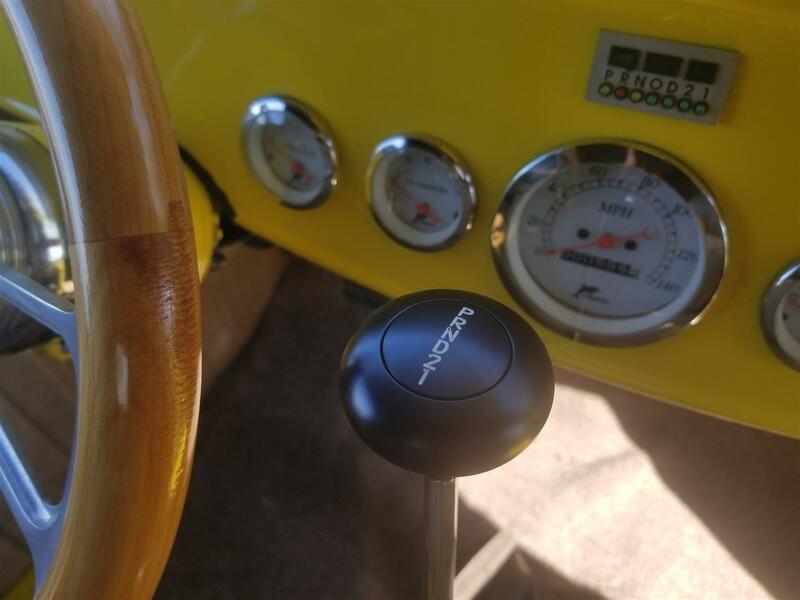 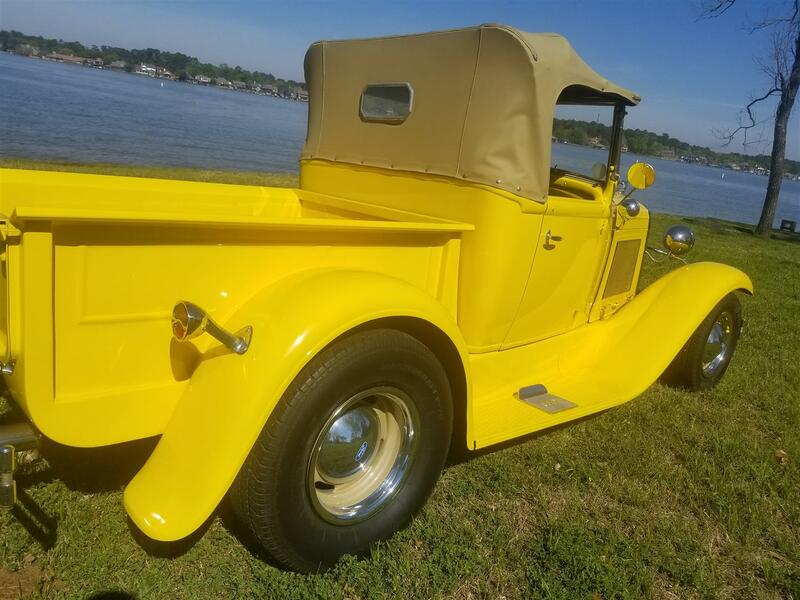 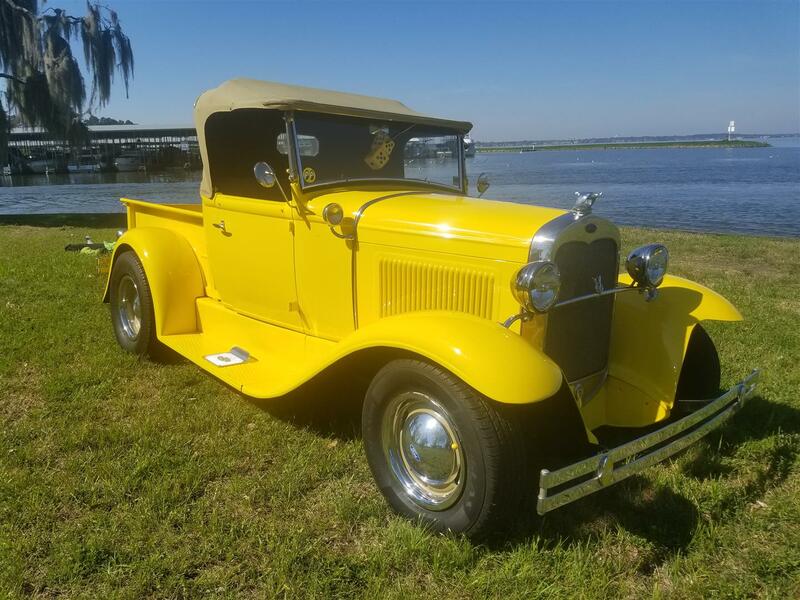 1930 Ford Roadster Pickup – 302 V8, Auto w/OD, 2016 Restoration, Wood Wheel, Wood Bed, Bluetooth Stereo, Only 600 Miles! 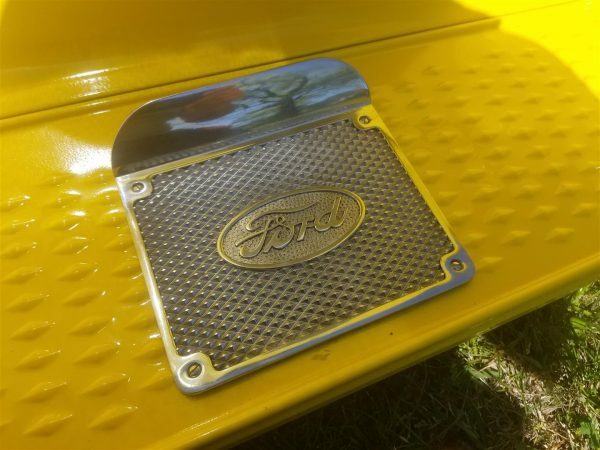 1930 Ford Roadster Pickup – Like all Ford commercial vehicles, the roadster pickup did not adopt the redesigned bodies of the passenger cars at the beginning of the 1930 model year. 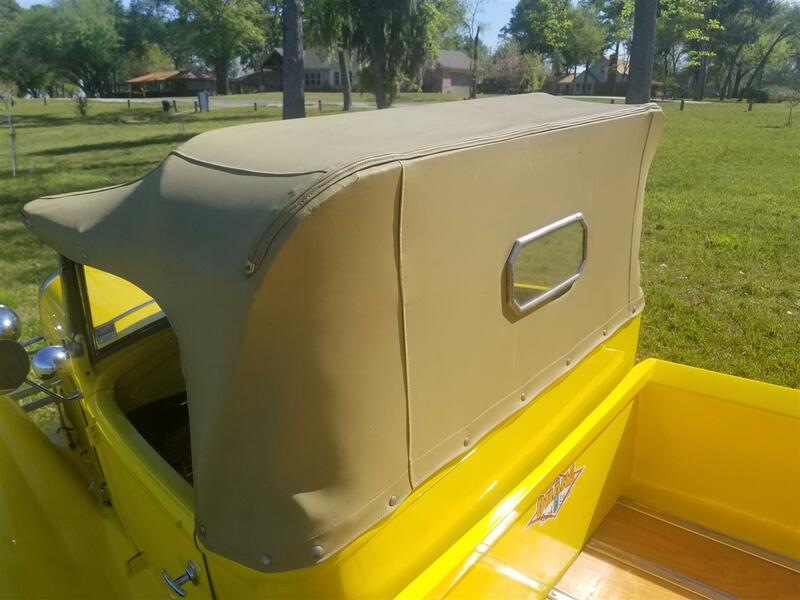 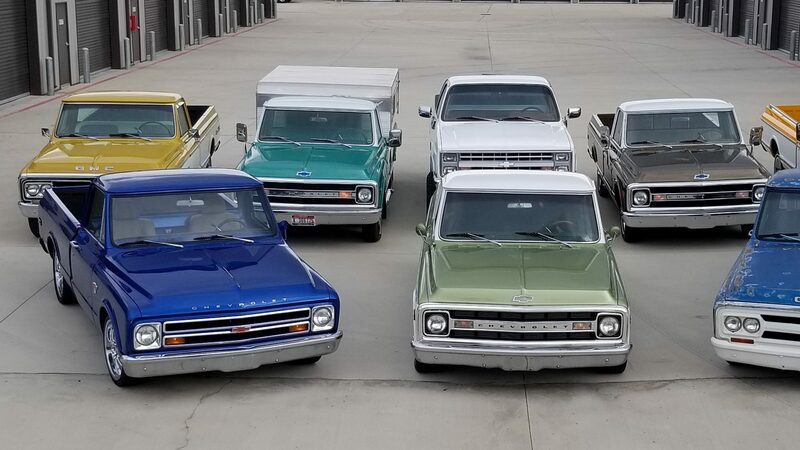 Instead, the older, upright, “phone booth” cabs continued until June, when the new sheet metal made its way to pickups, panels, and AA 1-1/2 ton trucks. 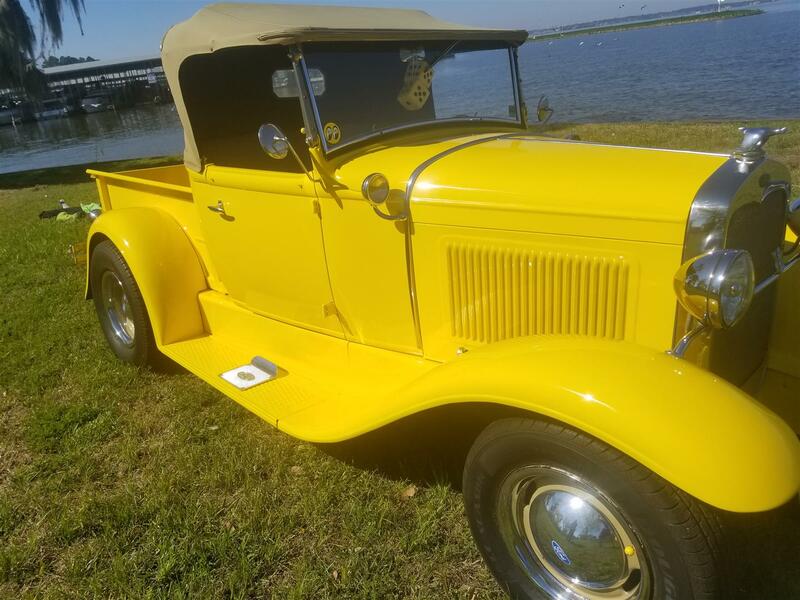 The roadster pickup is one of the most appealing body styles of the dozens that were offered on the Model A chassis. It’s sporty but functional, a combination that works incredibly well either as a restored car or a hot rod like this. It keeps all the familiar Model A styling cues, so there’s no question what it is, but thanks to some subtle tweaks here and there, it has a definite custom look. 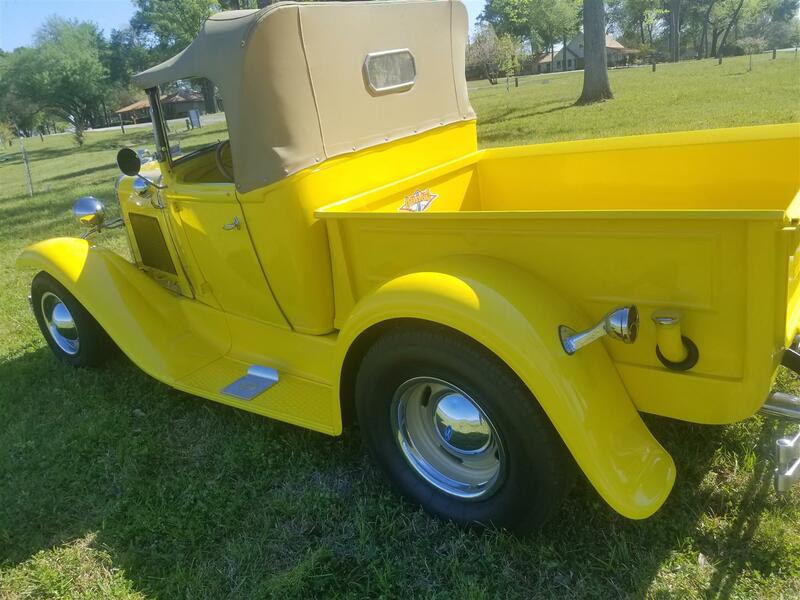 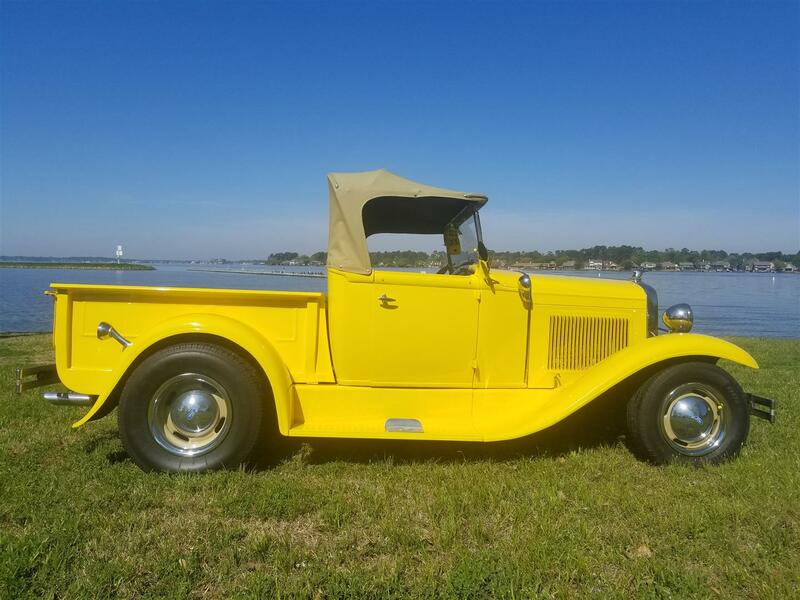 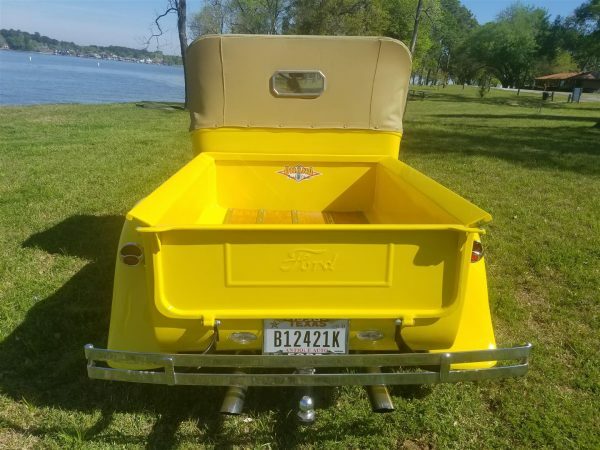 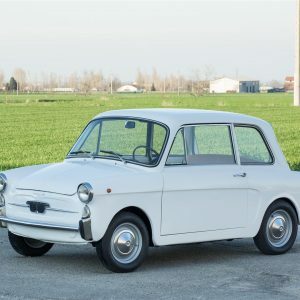 This great little Roadster pick-up needs nothing but a new home and is the perfect Spring time purchase. The Ford was restored in 2016 but has seen only 600 miles of asphalt since completion. The transmission was just rebuilt with a 6 month warranty and the wiring and fuse box are all new. 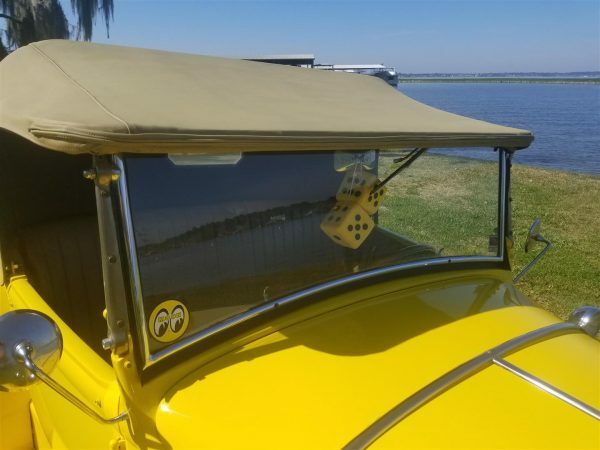 So with the top-up or top-down you can be guaranteed to turn heads and enjoy a care-free ride. 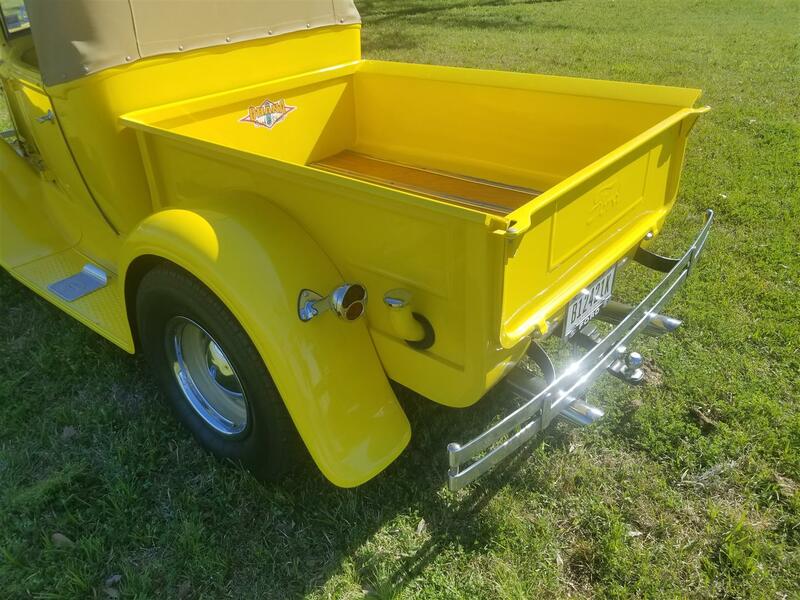 With exception of the fenders, the roadster is all steel. 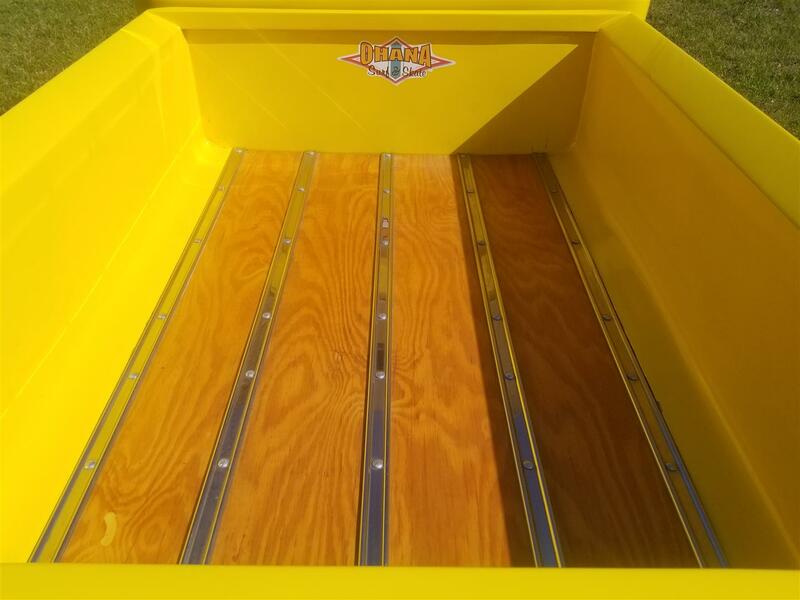 The yellow paint job completed in 2016 still shows extremely well and the wood bed looks perfect. 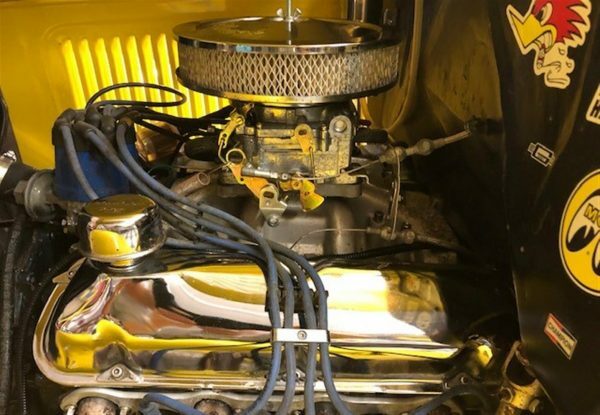 Power is delivered from a 302 Ford V8 paired to an automatic transmission with overdrive. Exhaust flows from the headers out through a set of dual exhaust with chrome tips. 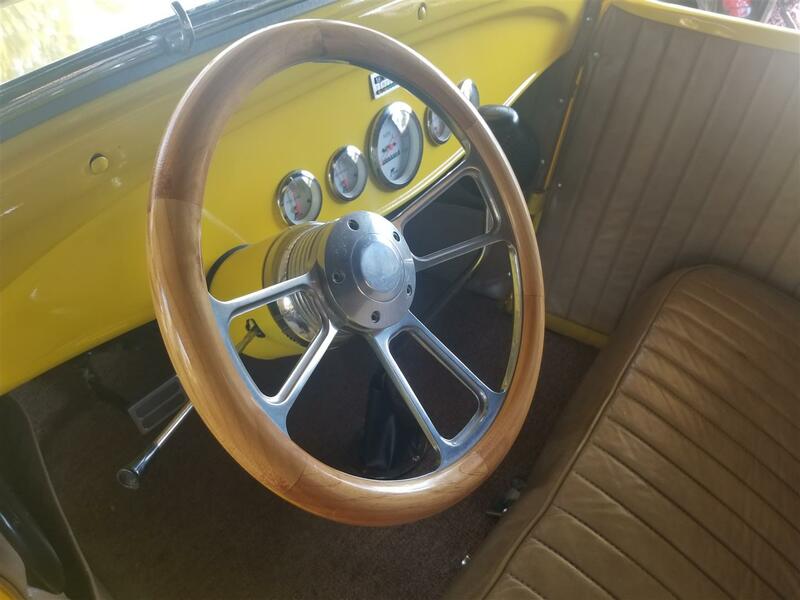 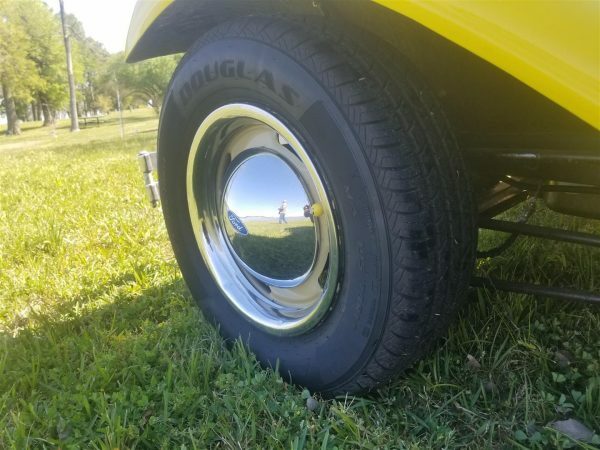 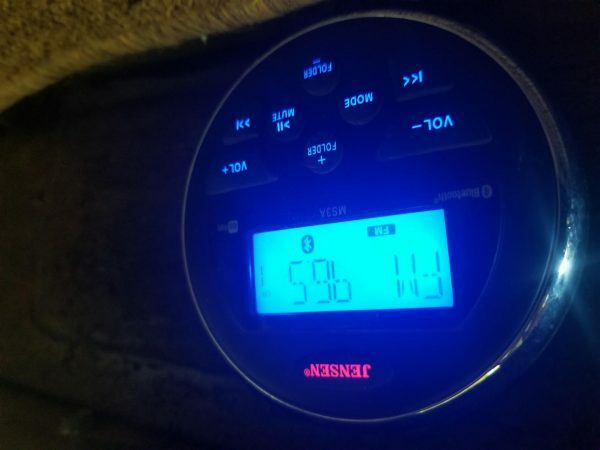 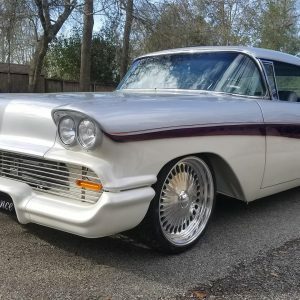 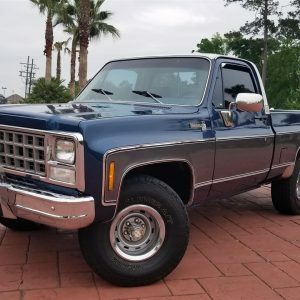 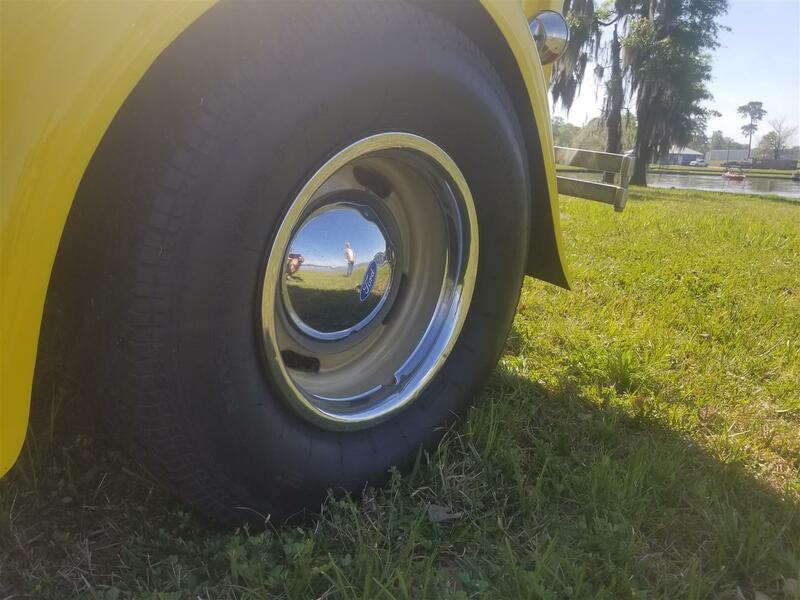 Additional features include; Removable Soft Top, Chrome Bumpers, Chrome Mirrors, Chrome Grill, Wood Wheel, Dolphin Gauges, Jensen FM/Bluetooth Stereo, 14″ Rims, and Thick Douglas All Season Tires! It also has a tow hitch and comes with a matching yellow umbrella that is perfect to use at car shows. 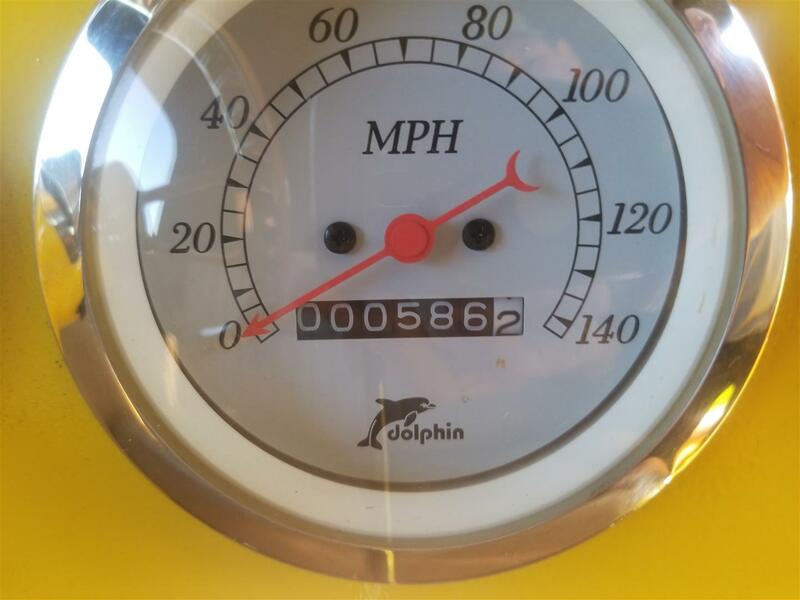 NADA shows this vehicles current value at $35,700 and every comp for similar Fords we can find are $25k+. In keeping with our goal of offering the best vehicles at the best prices, we are offering this Roadster for only $23,900. 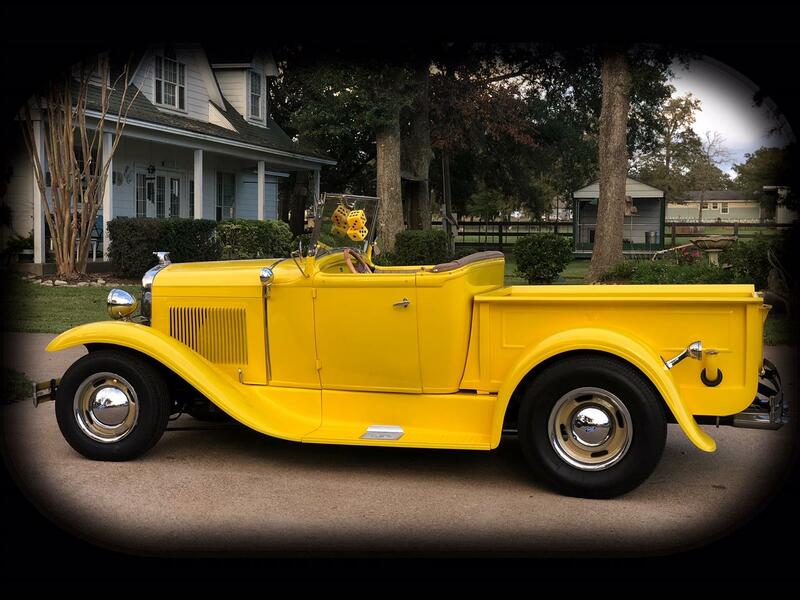 Contact us today to become the fortunate new caretaker of this beautiful classic.